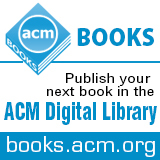 Welcome to the November 5, 2014 edition of ACM TechNews, providing timely information for IT professionals three times a week. In a letter to Rep. Lamar Smith (R-TX), chairman of the House Committee on Science, Space, and Technology, the heads of five of the U.S.'s largest computing research organizations, including ACM, refuted political attacks on a research project at Indiana University that seeks to understand what makes ideas go viral, particularly on Twitter. The project, known as Truthy, recently became a target for several lawmakers, particularly Smith, who characterized the project as an effort to limit free speech on social media. His criticisms were echoed by House Majority Leader Kevin McCarthy (R-CA), who last week said the goal of Truthy is to "evaluate users' 'partisanship' and to track 'subversive' propaganda." In the letter, the heads of the Computing Research Association, the Association for the Advancement of Artificial Intelligence, ACM, the Society for Industrial and Applied Mathematics, and the USENIX Association pushed back against these ideas. In particular they refuted the idea that Truthy is about controlling political speech, noting it is not capable of making political judgements or distinctions and is not able to exercise any kind of direct control over Twitter. The letter's points echo Truthy researchers' response to the political attacks, which noted the project makes it easier for users to identify suspicious or phony information. Stanford University president John Hennessy's speech at Intel Capital's recent annual summit focused on four barriers he says are preventing gender equality in the technology industry and his proposed solutions for each. Hennessy says, "our system is broken somewhere between middle school and high school," noting that in elementary school girls do slightly better than boys in math and science, but they fall behind in early adolescence. Hennessy recommends finding better role models and inspiration for girls. Hennessy also criticizes the rise of the "gamification culture," which he says puts a heavy emphasis on killing. Although boys may like these types of games, he says most girls do not find them attractive. However, he notes the problem may be fixing itself as today's computers now provide a gateway to social media, which has high levels of engagement by girls. Hennessy's third concern is the "isolation effect" at universities, especially for female students who may end up being the only woman in a high-level math or science course of 30 people. He says universities need better support networks for female students in order to combat this problem. Finally, Hennessy says the industry needs to break the stereotype that computer science involves "sitting in front of a terminal for 10 hours a day, coding all the time, without any interaction with anyone else." Clemson University researchers have developed Virtual Environment Interactions (VEnvI), a software and curriculum combination for blending movement and programming. The researchers say VEnvI offers a novel and embodied strategy of engaging fifth- and sixth-grade girls in computational thinking. "We want to understand how body syntonicity might enable young learners to bootstrap their intuitive knowledge in order to program a three-dimensional character to perform movements," says Clemson professor Alison Leonard. The researchers conducted user-centered design research for creating choreography and the social context for a virtual character through which girls can be introduced to alternative applications in computing. "We adopt the view that computational thinking is a set of concepts, practices, and perspectives that draw upon the world of computing and are applicable in many [science, technology, engineering, and mathematics] fields," says Clemson professor Shaundra Daily. The researchers found the active presentation of concepts and future scalability of VEnvI will provide emerging technologies geared toward more inclusive strategies to engage girls in computational thinking. They now are designing a control algorithm that links concepts from computational thinking to animation algorithms to ensure the quality of the resulting choreography. The researchers note VEnvI has the potential to widen the scope of current technologies that aim to cultivate computational thinking for diverse designers, users, and audiences. Google recently announced it is overhauling its Flu Trends service to harness more traditional medical data, which has long been used to track and predict the flu season. Flu Trends was an early example of the potential for the use of big data after it was able to successfully predict the severity of the H1N1 flu outbreak two weeks ahead of official statistics in 2009. The service monitors flu-related search terms on the theory they will correlate with actual rates of flu infections. However, Flu Trends has had mixed success in recent years. In an article published in Science magazine this year, a group of quantitative social scientists found Flu Trends tends to overestimate the number of reported flu cases, most famously during the 2012-2013 flu season, when it greatly overestimated the number of reported cases. Google's announcement appears to be a response to the Science article, which found the best predictions came from a system that combined Flu Trends' predictions with traditional flu data from the U.S. Centers for Disease Control and Prevention (CDC). The changes to Flu Trends include the addition of CDC data, and Google says it will further outline the changes in a technical paper it plans to publish soon. University of Lincoln researchers are developing Eyelander, a computer game they say could help visually-impaired children lead independent lives. The game focuses on improving the functional vision of children who have sight issues due to a brain injury rather than damage to the eye itself. "We are tapping into the brain's innate ability to adapt (also known as neuroplasticity), and because substantial changes in vision are possible even into adulthood, this could yield real results," says Lincoln computational neuroscientist Jonathan Waddington. He says the game combines scientific knowledge of neuroscience and psychology with expertise in game development. "Clinical trials will get under way this summer to evaluate whether the software could become a valuable new tool for the treatment of children and young adults with visual impairments," Waddington says. The game also features advanced options to adapt the difficulty to the specific cognitive and visual impairment of the person playing. "Research has already shown that this type of training can lead to significant recovery of sight following damage to visual centers of the brain in adults, so it is vital that those using it are motivated by something interesting and engaging," says Lincoln professor Timothy Hodgson. Oregon State University (OSU) researchers have studied how birds are able to run while minimizing energy cost, avoiding falls or injury, and maintaining speed and direction with the goal of developing better running robots. "Birds appear to be the best of bipedal terrestrial runners, with a speed and agility that may trace back 230 million years to their dinosaur ancestors," says OSU professor Jonathan Hurst. Although evolution has shaped running birds into different sizes and skeletal structures, the OSU researchers found their running styles are essentially the same. The researchers focused on five species of birds and developed a computer model that closely matches that behavior. "We should ultimately be able to encode this understanding into legged robots so the robots can run with more speed and agility in rugged terrain," says OSU researcher Christian Hubicki. Running birds are very energy efficient because they allow their upper bodies to bounce around, changing their leg speed to stay upright. However, modern robots are usually built with an emphasis on total stability, which often includes maintaining a steady gait. This technique can be energy-intensive and sometimes limits robots' mobility. The researchers say robotic control approaches "must embrace a more relaxed notion of stability, optimizing dynamics based on key task-level priorities without encoding an explicit preference for a steady gait." High-tech entrepreneur Elon Musk caused a stir in the artificial intelligence (AI) world with recent comments warning about the potential dangers of AI. At a recent Massachusetts Institute of Technology event, Musk warned AI could pose a major threat to humanity, comparing it to summoning a demon that could run out of control. Earlier, Musk Tweeted a warning that AI is "potentially more deadly than nukes," and has explained his investment in an AI company as a means to keep an eye on AI research. Some AI researchers have dismissed Musk's concerns as fantastical, comparing them to science fiction horror stories and unrelated to the current state of AI development. They say an AI system that could pose the sort of danger Musk worries about is decades, if not more than a century, away. However, others say Musk has a point and AI researchers need to make sure they are taking into account the potential dangers of the systems they are developing. California Institute of Technology professor Yaser Abu-Mostafa compares AI research to nuclear technology. He says the potential to help humanity is great, but researchers have to ensure they don't build something that could be turned into a bomb. Researchers at the Massachusetts Institute of Technology (MIT) and Maynooth University have shown existing practical cryptographic schemes come with their own information-theoretic guarantees, such as that some of the data they encode cannot be extracted, even by a computationally unbounded adversary. The researchers developed a method for calculating the minimum-security guarantees for any given encryption scheme, which they say could enable information managers to make more informed decisions about how to protect data. "By investigating these limits and characterizing them, you can gain quite a bit of insight about the performance of these schemes and how you can leverage tools from other fields, like coding theory and so forth, for designing and understanding security systems," says MIT graduate student Flavio du Pin Calmon. The mathematical framework also applies to the problem of data privacy. As part of the research, the researchers developed security metrics that hold for a wide range of distributions, and enhanced them with precise calculations of the worst cases. The researchers used this framework to demonstrate that although ciphertext as a whole may not be information-theoretically secure, some of its bits could be. Therefore, they say it should be possible to create encryption schemes that cannot guarantee perfect security across the board but could provide it for specific data. Researchers from the Georgia Institute of Technology say they have found numerous security flaws that could allow malicious hackers to seize control of PCs and smartphones through the use of voice-control features, including those designed to make the devices easier for disabled individuals to use. In research that will be presented at the 21st ACM Conference on Computer and Communications Security this week in Scottsdale, AZ, the researchers describe 12 methods of subverting devices running the Android, iOS, Windows, or Ubuntu Linux operating systems (OSes), in some cases using methods that would not require any physical contact with the device. One attack uses malware that leverages Windows Speech Recognition to talk its way into running commands that would normally require a higher level of privilege, while another involves subverting the voice print feature of Android's Google Now digital assistant to access a device and then using generic text-to-speech apps to issue commands as if it were the user. Lead researcher Wenke Lee says most of the vulnerabilities are the result of voice command features being added late in the development cycle, making them less likely to be vetted for security vulnerabilities. "These features were added after the OS had been implemented, so these features don't have the same kinds of security checks," Lee says. Cyber-Earth is a Web-based, geo-referenced representation of the planet intended to serve as a communication tool for citizens, policymakers, and researchers. Cyber-Earth hopes to visualize the planet's future by enabling the discovery of spatio-temporal patterns, making inferences from significant patterns, projecting future threats to society, and analyzing options and consequences worldwide. Cyber-Earth could help citizens and policymakers make scientific predictions in the areas of climate and demography along with their effects on such things as food, water, and energy. Building the next generation of Cyber-Earth offers several major challenges, such as developing software building blocks and methodologies for comparing alternative scientific models amid a diverse range of models from physical sciences, social sciences, and data sciences. Other challenges include alternative policy scenarios, uncertain quantification, and order of magnitude differences in map resolutions. The U.S. National Science Foundation recently awarded a $4.5-million grant called Geospatial Building Blocks (GABBs) to develop a robust yet easy-to-use Web-based system for hosting, processing, evaluating, and sharing geospatial data. The system is built on HUBzero, an open source platform. The GABBs team is working with the Agricultural Model Inter-comparison Project and the GEOSHARE project to create a tool that models the effect of climate change on historical and future crop yields. Although still nascent, higher-level parallelism is expected to be a key theme of the next version of C++, dubbed C++17, says Bjarne Stroustrup, the founder of the language. He says C++ has to leverage new capabilities, such as transactional memory, which involves parallelism and concurrency. The language also will need to handle parallel algorithms, transactional memory, task parallelism, and SIMD (single instruction, multiple data) vectors, according to Stroustrup. He says parallelism currently is too challenging for developers, and the use of threads and locks in dealing with parallelism can lead to mistakes. "We have to get to the next level of abstraction and that's where we're going," Stroustrup notes. He says C++ currently has object-oriented and functional call syntaxes, which are somewhat perplexing, and the syntaxes lack the same meaning. "My idea is to unify them," Stroustrup says. A unified call syntax is particularly important for writing generic code, and Stroustrup cites additional key changes for C++17 such as faster compilation, contracts, and better type-checking. A meeting about the future of C++ is being held this week by the standards committee at the University of Illinois, Urbana-Champaign, according to Stroustrup. C++17 could potentially debut in 2017. Pennsylvania State University (PSU) researchers are developing technology to enable users to accurately and efficiently gauge app clones from legitimate products. "This tool enables the app market to quickly analyze a very large number of apps within hours," says PSU professor Peng Liu. The researchers designed and deployed the app clone detection system and assessed it on five Android markets. They note their approach is more advanced than conventional techniques because it is both accurate and scalable. Scalable cross-market clone analysis is a technique that requires scalable pairwise comparison between all the methods and aims to separate cloned pairs from non-cloned pairs. The researchers developed an encoding approach that encodes a control flow graph (CFG), a representation of all paths that might be traversed through a program during its execution. The researchers use a geometry characteristic called centroid of CFG to encode a CFG, and found centroids can differentiate cloned from not-cloned pairs. During testing, their implementation of a prototype and its evaluation on the Android markets found it takes less than an hour to perform cross-market app clone detection after generating centroids just once. "This surprising and intriguing 'centroid effect' enables us to achieve high accuracy without sacrificing scalability when detecting cloned methods," the researchers say. Object recognition is challenging for computers, but artist Randall Munroe has launched a website called Park or Bird on Flickr intended to determine whether a photo was taken in a national park or shows a bird. Users can drag a photograph into the page, and it will make an educated guess. Gerry Pesavento of Yahoo, which owns Flickr, says the site is "showing that image intelligence is happening very quickly." For the past year, Flickr has been training neural networks to determine if a given picture has one of 1,000 different objects in it, ranging from a cat to a sunset. If Flickr can resolve this problem, it will significantly improve the search function for its billions of photos, according to Yahoo. Users potentially could search for images of any item even if the photographer has not tagged it. Object-recognition technology also could eventually be used in autonomous vehicles or help visually impaired individuals identify people and street signs. "The sort of algorithms that we're using at Flickr right now are exactly the sort of algorithms that are going to be helping robots see and navigate visually," says Yahoo's Simon Osindero.